Indianapolis, Indiana – Plaintiff The Brick Shirt House, LLC of Indianapolis, Indiana filed a copyright infringement complaint in the Southern District of Indiana. The lawsuit alleges that Indiana on Tap, LLC of Fishers, Indiana infringed Plaintiff’s copyrighted art work “Drink Indiana,” Copyright Registration No. VA0001895289, which has been registered with the U.S. Copyright Office. Brick Shirt House is engaged in the business of printing on apparel and other merchandise. An Indiana copyright attorney for Brick Shirt House asserts in this lawsuit that the visual art at issue in this litigation, “Drink Indiana,” was created in October 2011 by Alex Janeczek, manager and owner of Brick Shirt House. The art work features an Indiana-shaped beer mug with beer foam spilling over the top. Around December 16, 2013, Janeczek discovered a drawing in use by Indiana On Tap that Plaintiffs contend is “substantially similar to Drink Indiana Beer Mug, as it copied, verbatim, the essential elements of Drink Indiana Beer Mug.” He also learned of Indiana On Tap’s intent to distribute merchandise with the accused artwork. That same day or shortly thereafter, Brick Shirt House indicates that it registered its art work with the U.S. Copyright Office. Approximately a week later, Brick Shirt House e-mailed Indiana On Tap and requested that Indiana On Tap cease using the artwork, stating its belief that the Indiana On Tap work infringed Brick Shirt House’s copyrighted art. Several e-mails were exchanged but apparently no resolution was reached. In July 2014, Indiana On Tap again advertised its intent to sell t-shirts incorporating the accused artwork. In response, a copyright attorney for Brick Shirt House sent a cease and desist demand letter to Indiana On Tap. 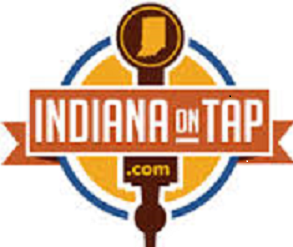 Indiana On Tap denied infringement and refused to cease use of the graphic. Plaintiffs indicate that additional instances of copyright infringement were subsequently committed by Indiana On Tap. This lawsuit, filed December 4, 2015 by an Indiana copyright lawyer for Brick Shirt House, lists a single count: copyright infringement, which Plaintiffs state has been done willfully. Brick Shirt House seeks equitable relief, including impoundment; damages; costs and attorney’s fees. The case was assigned to Judge Tanya Walton Pratt and Magistrate Judge Denise K. LaRue, in the Southern District of Indiana and assigned Case No. 1:15-cv-01919-TWP-DKL.